به دلالت صریح برخی آیات الهی، فرعون در آخرین لحظات عمرش توبه کرد. ابن­عربی توبه او را مقبول دانسته و معتقد است باایمان از دنیا رفته است. 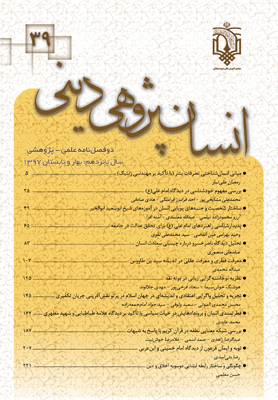 امام خمینی معتقد است توبه فرعون مردود بوده و با حالت کفر دنیا را ترک کرده است. ابن­عربی معتقد است فرعون قبل از غرق شدن توبه کرد و چون قبل از اینکه گناهی کند، قبض روح شد، پس نه‌تنها مؤمن، بلکه مؤمن پاکیزه از دنیا رفته است. به عقیده او کلام نرم حضرت موسی و هارون(ع) در فرعون اثر کرد و متذکر و خاشع شد و این دلالت بر قبولی ایمان او دارد؛ زیرا تذکر و خشیت در زمان دعوت صورت گرفته که در دنیا بوده است. اما امام خمینی معتقد است فرعون‏ بعد از اینکه متوجه شد به‌زودی غرق مى‏شود، توبه کرد و توبه هنگام مرگ پذیرفته نمی­شود. ایشان همچنین دستور الهی مبنی بر کلام نرم حضرت موسی و هارون(ع) با فرعون را نه به‌خاطر متذکر و خاشع شدن فرعون، که برای مصالحی همچون تأثیر بر اطرافیان فرعون دانسته­اند. According to some clear Quranic verses, Pharaoh repented in his last breathes. Ibn Arabi believes that his repentance is accepted by God and therefore he departed this life while he has been faithful. However, Imam Khomeini believes that Pharaoh’s repentance is not accepted and he has met his end in disbelief. Ibn Arabi postulates that Pharaoh repented just before being drowned and after repentance he has not committed any sin until his soil was taken. For the same reason, he has not been only faithful at the edge of death but also a clean faithful. Besides, Ibn Arabi believes that the tender words of Moses and Aaron touched Pharaoh and, for the same reason, pharaoh became aware and humble and this shows that Pharaoh’s faith is accepted because his humbleness and awareness has happened in the time of his invitation to God in this world. On the contrary, Imam Khomeini believes that Pharaoh repented as soon as he found that he is drowning and repentance at the edge of death is not accepted. Imam also believes that Pharaoh’s humbleness and awareness was a pretense toward some interests such as deluding surrounding people rather than accepting divine commandments.